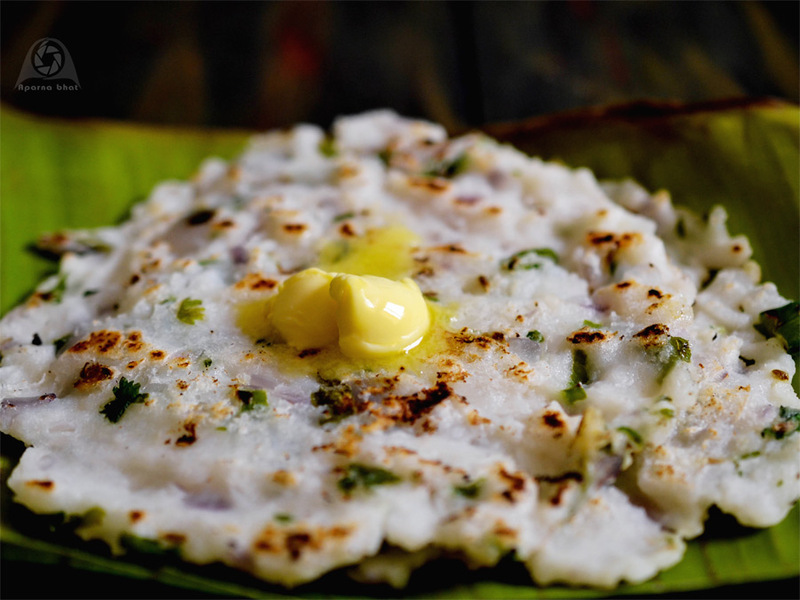 One of the famous breakfast item from Karnataka cuisine is "Akki roti". Mostly prepared from rice flour, I have always liked the version prepared by my aunt. The best thing about her recipe is it makes use of left over rice. Today, I made minimal variation to her recipe and tried it by replacing coconut with sugar . Don't they look yummy topped with that melted butter ? If only that butter was home made would have tasted even more super! Take 3 cups of left over rice in a big wide mouthed vessel. Add 1/4 cup water and mash it nicely. Next add finely chopped onions, rice flour, chopped green chilies, chopped curry leaves, finely chopped coriander leaves, cumin seeds. Mix everything nicely with spoon [I prefer to mix everything with hand]. Now add water little by little [I required 1/2 cup+2 tbsp of water] to make a soft dough. Add salt and sugar as per taste. Once the dough is ready, make equal portions of the dough. Heat the dosa griddle/ pan. 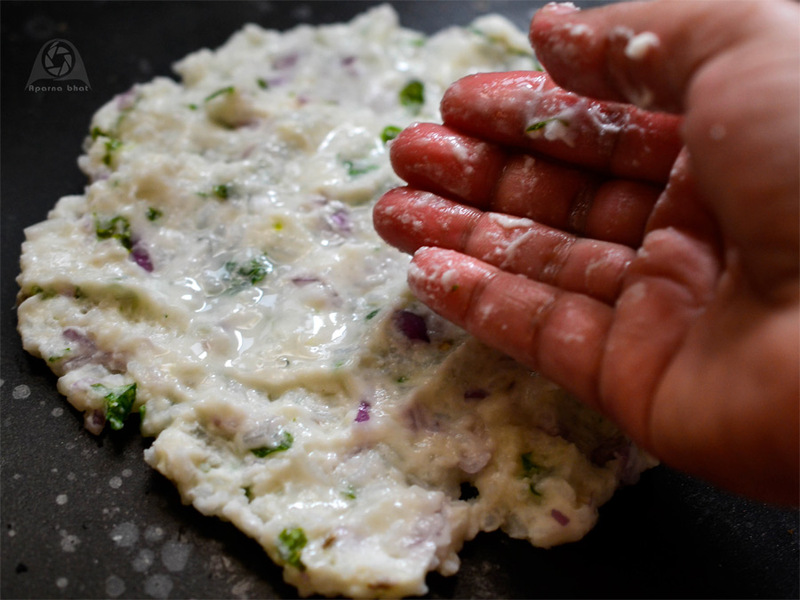 Take each portion, place on the griddle and pat the dough continuously till it becomes evenly thin and round [you will need to wet your hands by dipping into bowl of water before patting]. 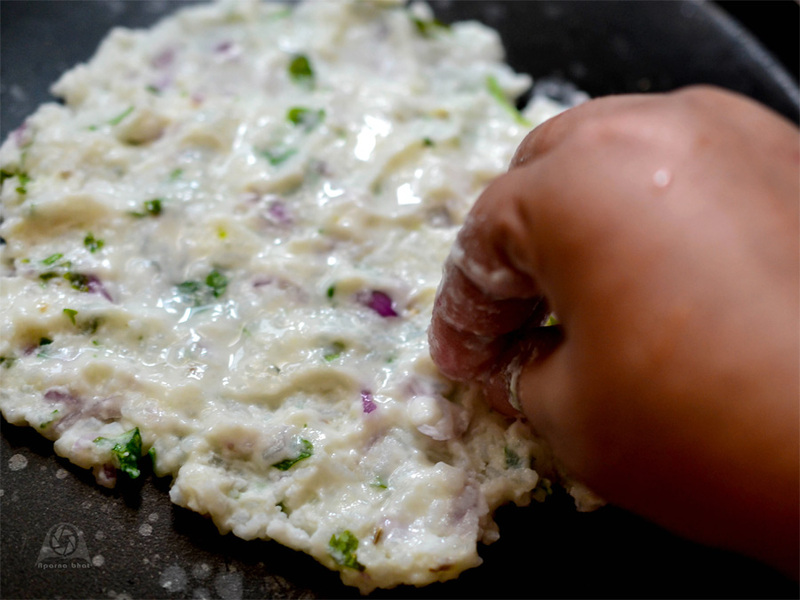 Spoon drops of oil around the roti, allow it to cook and later flip on other side. Roast it until cooked on both sides and gets golden brown spots on it. Serve it hot with butter or any chutney. It tastes delicious even when served as it is. You may add grated carrots, finely chopped capsicum to make it more nutritious. You may add turmeric powder to make it colorful and instead of green chillies add red chilli powder. 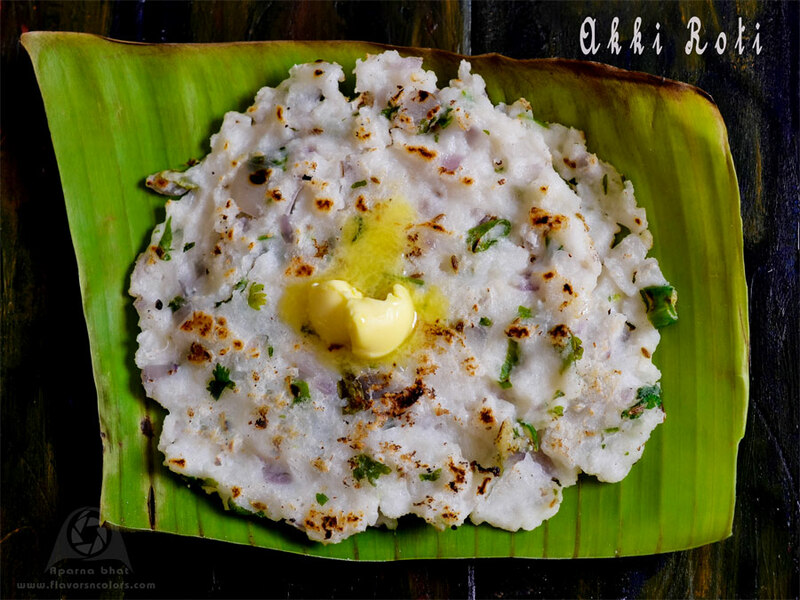 Can happily have this akki rotis for my breakfast, delicious. akki roti looks super Aparna. I too make this at times..
Wow, akki roti with cooked rice sounds interesting and delicious.